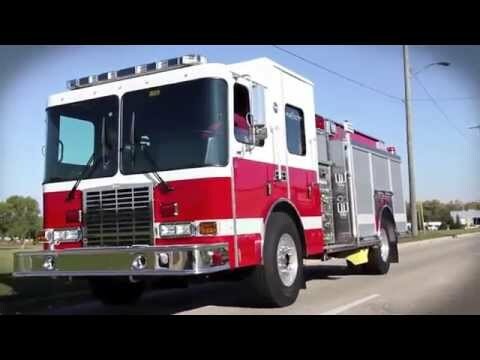 The SilverFox® has earned its reputation as America’s favorite custom pumper by delivering an uncompromised combination of performance and outstanding quality – at a very affordable price. 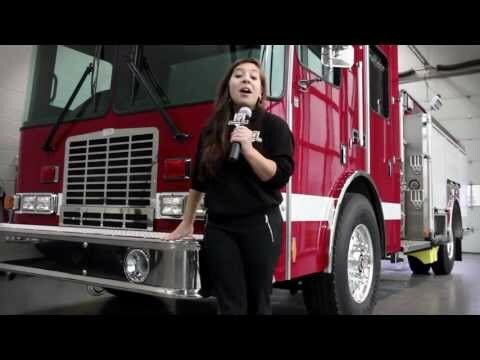 The SilverFox® delivers extreme performance and functionality from the ground up with its custom, HME SFO® chassis, HME Hydra Technology™, HME Stainless Steel body, and HME storage solutions. 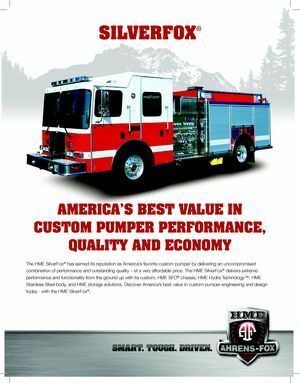 Discover America’s best value in custom pumper engineering and design today with the HME SilverFox®. 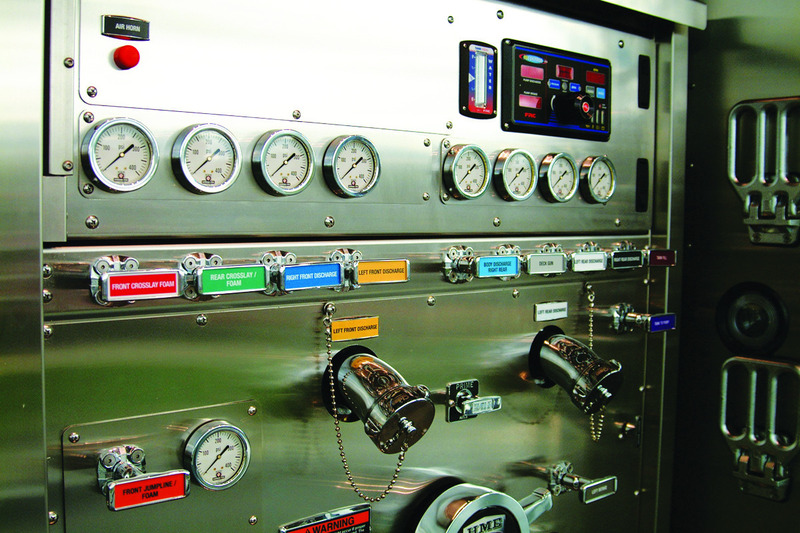 Optimizing custom pumper performance, functionality, durability and value. 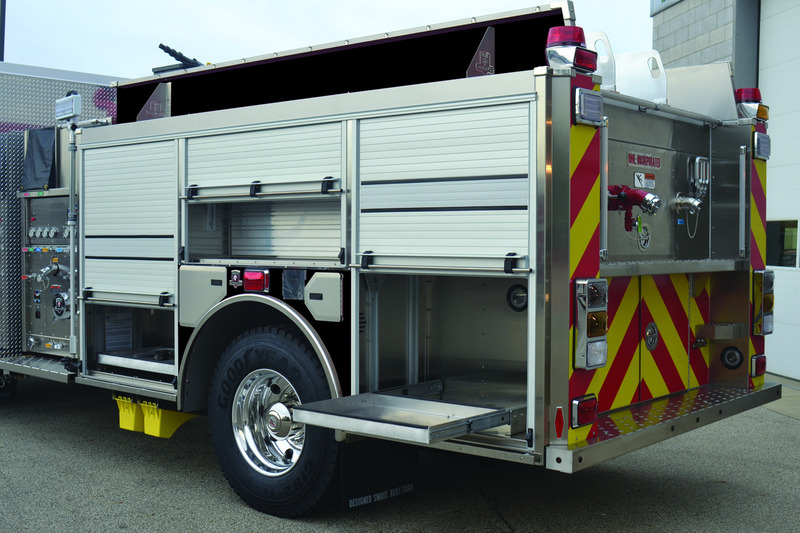 The SilverFox® features a tight turning HME SFO® chassis with an industry leading 52˚ cramp turn angle to access a wide range of suburban, urban and rural fire fighting environments. 330-horsepower engine, five-speed transmission, pushbutton selector. 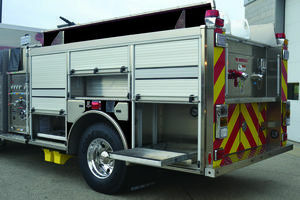 56-cubic feet of compartment storage space with optional tool-boards, drawers and trays. 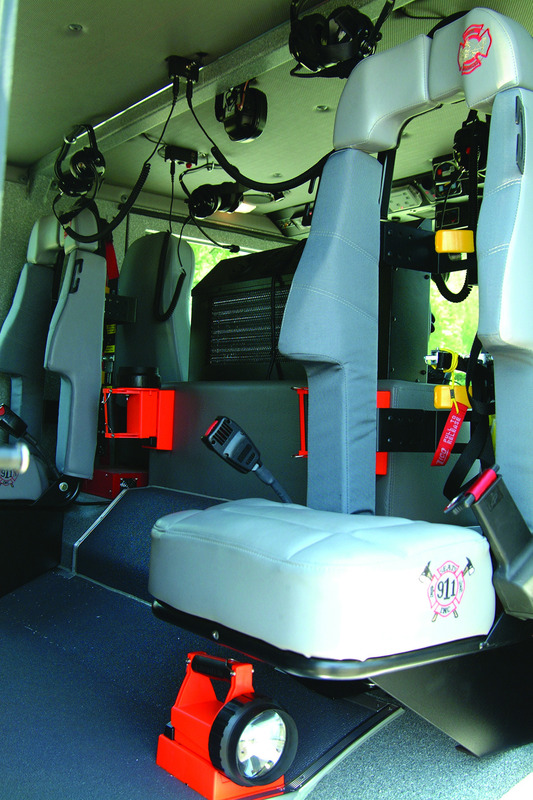 Large rear storage compartment stores NFPA-compliant ladder package, pike poles, and suction hose or stokes basket. 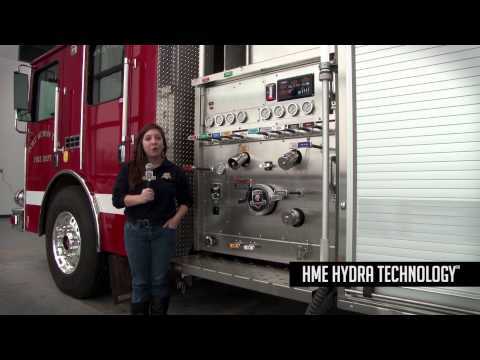 HME Hydra Technology™ 1,250 GPM rated performance, 1,000-gallon tank. 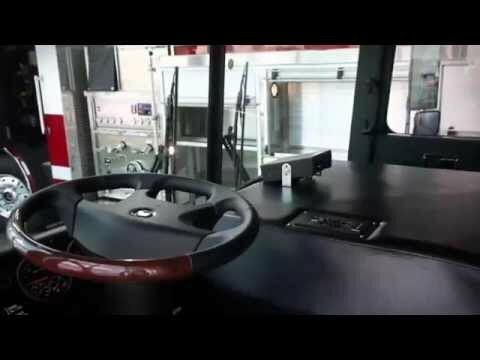 Side-mount or top-mount pump controls. 65-cubic foot hosebed with adjustable hosebed dividers. Two 2½-inch discharges on the left, one 2½- and one three-inch large-diameter hose (LDH) discharge on the right side, and one 2½-inch right-rear discharge plus a three-inch deck gun discharge. 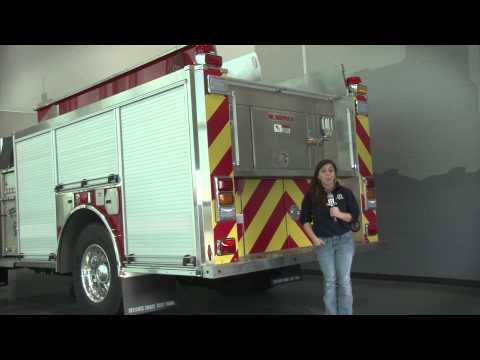 NFPA compliant ladder package includes 24-foot extension, 14' roof and 10' folding ladders. 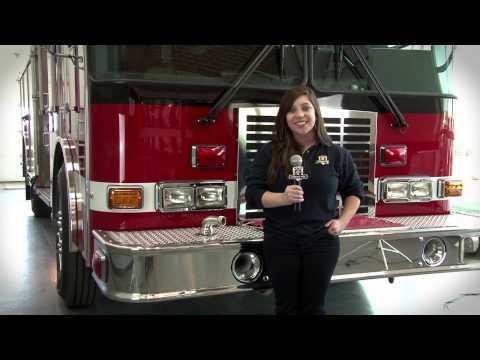 NFPA stainless steel, slip resistant step surfaces. 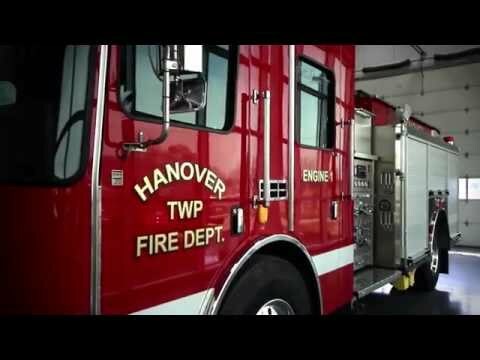 NFPA compliant LED emergency lighting package. 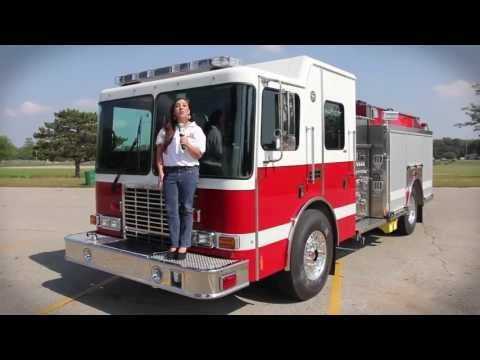 Federal PA-300 siren with recessed speaker and dual, recessed air horns in front bumper. 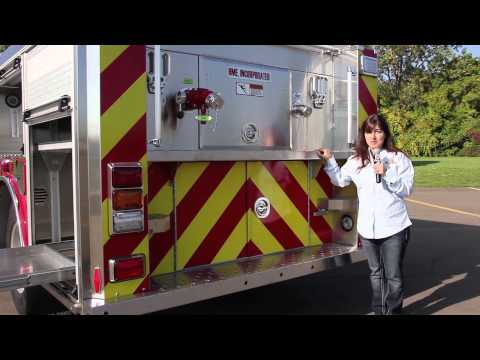 Heavy-duty front and rear heaters with 45,000-BTU air-conditioning system.